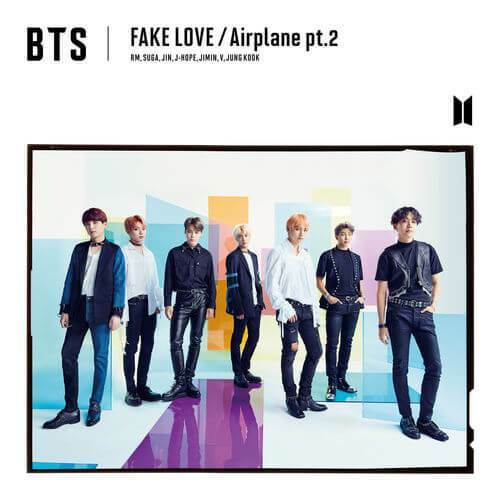 FAKE LOVE/ Airplane pt.2 [TYPE C] (SINGLE + PHOTO BOOKLET) (First Press Limited Edition) (Japan Version) – $20.25BTS has been setting domestic and international records left and right over the past year. The sensational group made history by topping the Billboard 200 Chart twice with the albums Love Yourself ‘Tear’ and Love Yourself ‘Answer’ and becoming the first K-pop artist to hold a stadium show in the U.S. Now they’re releasing a new single in Japan. The single includes the Japanese versions of the hit songs Fake Love and Airplane pt.2 from the Love Yourself ‘Tear’ album.This edition includes a 36-page photo booklet.